THE DEBBA is the page-turning story of an Israeli ex-assassin's quest to uncover his dead father's secret - and the truth about the birth of Israel. Mandelman was born in Israel and served in the Israeli Air Force during the Six-Day War. His story collection Talking to the Enemy was chosen by Kirkus Reviews as one of the twenty-five best books of 2005, and by the American Library Association as the first recipient of the Sophie Brody Medal for outstanding achievement in Jewish literature. This is his first novel. A recent **starred** review in Kirkus proclaimed that "The author deftly blends a murder mystery with a nuanced examination of the intransigent Israeli-Arab conflict" and a **starred** Booklist declared that he "has written a first rate debut novel that tackles current issues in the Arab-Israeli conflict while revealing the paradoxes of Israeli life for those who embrace the arts yet must deal with violence on a daily basis." THE WITNESS HOUSE is the remarkable account of a villa on the outskirts of Nuremberg during the infamous war crime trials - and the people who passed through there. Autumn 1945 saw the start of the Nuremberg trials, in which high ranking representatives of the Nazi government were called to account for their war crimes. In a curious yet fascinating twist, witnesses for the prosecution and the defense were housed under the same roof. In this so-called Witness House, perpetrators and victims confronted each other in a microcosm that reflected the events of the high court. Presiding over the affair was the beautiful Countess Ingeborg Kálnoky who took great pride in her ability to keep the household civil and the communal dinners pleasant. In THE WITNESS HOUSE, the complexities of post-war Germany have never been conveyed so palpably. People with vastly disparate experiences lived side by side. As the most famous and significant trial of the 20th century unfolded, they lived together, broke bread, argued, fell in love, and found a way to understand one another. Kohl's journalistic vigor and personal connection to the project-culminating years of research-combine with her remarkably engaging prose style that sets the reader instantly at that tense little dinner table. 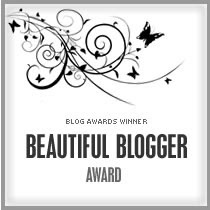 The Book of Life just received a Beautiful Blogger Award from the lovely folks at the Jewish Publication Society Blog over at JPSblog.org! Thanks, JPS! To claim the award, I have to share seven little-known facts about The Book of Life and pass the award on to seven other blogs. 1. The Book of Life was once used as a vehicle for two 3rd grade girls to get credit for a book report on Marc Chagall! Rather than present to the class, they presented their book report on the podcast. 2. Coolest audio project I've participated in: being one of the five voices in the librarian episode of the QN Podcast. 4. Episode that was the most tsuris to put together: Funny, That Book Doesn't Look Jewish. I used TalkShoe to do a live call-in show in which we discussed Pamela Ehrenberg's Ethan, Suspended and whether it could be called a Jewish book. I spent weeks recruiting people and making them promise to call in, and I was so nervous the whole time that I couldn't properly participate in the conversation. 5. The device with which I record live interviews is an Olympus LS10 digital voice recorder, which I absolutely love for its portability, expandable memory, and sound quality, and for its cute little Mickey Mouse ears. 6. Episode that had most real-world impact (well, in the world of publishing, anyway): 2 Jews, 3 Opinions. The 2 I interviewed were Kathy Bloomfield (ForWords) and author Laurel Snyder. Laurel later told me "you were the person who asked me why I *wasn't* writing Jewish books. I changed the name of the Any Which Wall kids to Levy after that." And then she went on to publish Baxter, The Pig Who Wanted To Be Kosher. 7. When I started The Book of Life, I used the tagline "a show about Jewish people and the books we read" because I thought I'd be interviewing people at Congregation B'nai Israel (where I am the librarian) about their reading lives. However, it quickly became clear that most people would rather be set upon by bears than be interviewed. This turned out to be a blessing in disguise, since it forced me to start interviewing famous authors, musicians, and other movers&shakers instead. Colleen Mondor named her blog after of Ray Bradbury. It's a good fit because, like Bradbury, Colleen is an outside-the-box thinker. She's a fiction writer and reviews books for a number of magazines, so she has a wide variety of bookish thoughts to share. I first noticed her blog because of her series, "What a Girl Wants," in which she invites lots of interesting people to her blog to discuss topics like girl detectives in fiction, female role models, and the "bad girl" label. 2. I'm Here, I'm Queer, What the Hell Do I Read? Lee Wind blogs about GLBTQ books for youth, which I think provides an important public service. I like his cheerful, positive attitude and his snappy book summaries. I'm intrigued by the description of his own work-in-progress, which has some Jewish content; he says "Over God: A week before his Bar Mitzvah and the celebration of his 13th birthday, Adam comes out as an Atheist. Now he has to figure out what he's going to do...." Lee also has a helpful site for other bloggers called The Zen of Blogging. Ann Kingman and Michael Kindness (what a great surname, eh?) 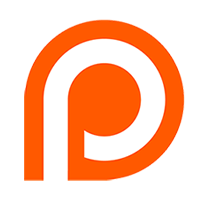 co-host this blog and podcast for general-interest book lovers. Their enthusiasm is infectious, which is probably the reason they get such great reader/listener response. Fans call in to leave book suggestions, to respond to questions like "Have you ever encountered an author 'in the wild?'" and to sign up for the Books on the Nightstand Weekend Retreat (April 8-10, 2011 in Vermont, if you're wondering). My favorite feature of the show is "Two Books We Can't Wait for You to Read." Marie Cloutier blogs about literary fiction, graphic novels, Jewish lit, book-related events, authors, "and whatever else I feel like!" What draws me to her blog is how she shares her own reading life, discussing things like the weeding/restocking of her home library, a book-making class she's taking, and how her own and her husband's reading tastes affect their relationship. I also get a kick out of the many meme's in which she participates, and I respect her diligence in posting multiple times per week. Mark and his wife Andrea used to have this amazing blog/podcast called Just One More Book that was a true celebration of children's literature. I would have liked to nominate JOMB for a Beautiful Blogger Award, but it's on an extended hiatus these days. However, Mark's personal blog is also worthy of an award, so I'll nominate that instead. He's a digital public affairs strategist and a podcasting pioneer, so his musings on digital communication and social media are always fascinating. Kathy Bloomfield is well known in the Jewish kidlit world as a former book fair operator and member of the Sydney Taylor Book Award committee. In her blog she shares her passion for secular children's books that reinforce Jewish values. Her posts are always thoughtful and thorough and she pulls no punches! Barbara Bietz blogs interviews with authors of Jewish kidlit, and even with an occasional foray into other genres, this is the only blog I know of with this specific, tight focus. She's a Jewish kidlit author herself, and the current chair of the Sydney Taylor Book Award committee. She really enjoys doing these interviews, and it shows! The tagline on Barbara Krasner's blog is "The Writer's Resource for Jewish-themed Children's Books." She should know, as she's a writer herself, and one of the organizers behind the annual Jewish children's writer/illustrator conference (formerly held at 92Y). She blogs about literary events, she interviews all sorts of bookpeople from authors to editors, librarians, and agents, and (my favorite) she writes these great, clearly laid-out reviews in which she lists "the good things" and "the not-so-good things." At the Association of Jewish Libraries 2010 Convention, I organized a panel presentation on book reviewing with Ellen Cole, Kathe Pinchuck, Lisa Silverman, and Rita Soltan. This post is our online handout, and a record of our presentation. Rita was not able to join us in person, but sent in a Powerpoint to share her thoughts on the difference between writing a review versus an article. 5. If the book is judged deficient, cite a successful example along the same lines, from the author's ouevre or elsewhere. Try to understand the failure. Sure it's his and not yours? To these concrete five might be added a vaguer sixth, having to do with maintaining a chemical purity in the reaction between product and appraiser. Do not accept for review a book you are predisposed to dislike, or committed by friendship to like. Do not imagine yourself a caretaker of any tradition, an enforcer of any party standards, a warrior in an idealogical battle, a corrections officer of any kind. Never, never (John Aldridge, Norman Podhoretz) try to put the author "in his place," making him a pawn in a contest with other reviewers. Review the book, not the reputation. Submit to whatever spell, weak or strong, is being cast. Better to praise and share than blame and ban. The communion between reviewer and his public is based upon the presumption of certain possible joys in reading, and all our discriminations should curve toward that end." At the Association of Jewish Libraries 2010 Convention, I co-presented a session on AJL & Social Media with Diane Romm. This post is our online handout, and a record of our presentation. Also relevant is the four-part series "Why Be Social?" that appeared on The Book of Life podcast in 2009. You can listen to all four parts here: http://jewishbooks.blogspot.com/2009/08/why-be-social-whole-megillah.html.